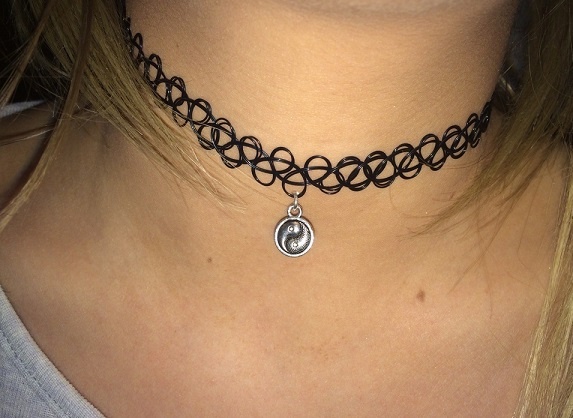 Decoration called tattoo choker was popular in the 90-ies of the last century. Now it is again at the height of youth fashion, and wear it both girls and guys. For weaving of choker you need a special elastic thread. It can be purchased in the store for needlework. Traditionally, the decoration is made of black material so it looks more like a tattoo, but you can make it and bright, from the fishing line any color that you like. Measure the desired amount of material. 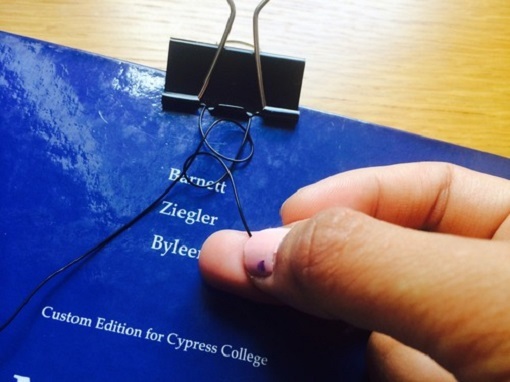 For weaving the necklace cut a piece with a length of approximately 2 m. the Line fold in half and place on the book. 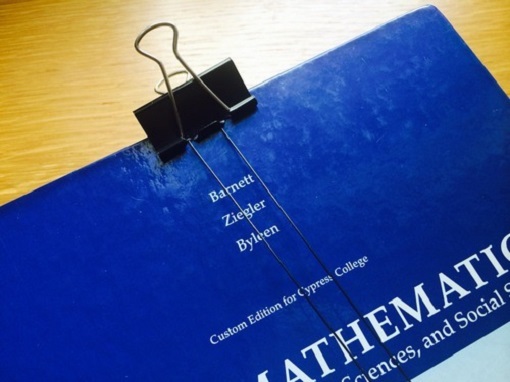 Edge attach a paper-clip. Now you can start weaving. Do not rush, do everything slowly and carefully. Take the piece of fishing line, which is to the left. Loop it over the right end, make a loop and pull it the tip of the line. Gently tighten. Similarly make a second loop of fishing line, which is located on the right side, around the tip on the left. Tighten the noose, trying to do so that it was about the same size as the previous one. Holding the loop with the index finger of the left hand, again repeat the previous steps. Thus doplatit to the required length. Remove the paper clip. In the loop, which was the beginning stretch the end of the line. Cut off the excess. Connect the 2 ends of the cord, slightly melt them with a lighter and press down firmly. After the molten material has cooled, you get a very sturdy connection. Tattoo choker ready. However, it can be made more attractive. Adorn these necklaces. They can be purchased in the store or use the pendants from old jewelry. 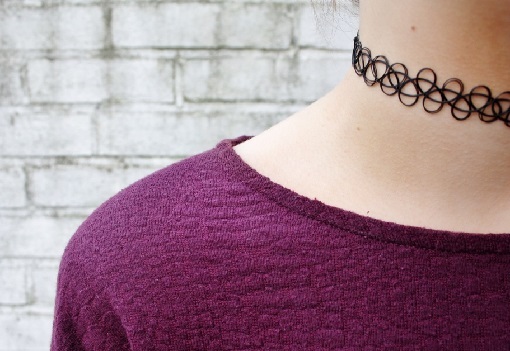 Find the middle of a finished choker. Ring mount on the suspension slightly open. Put on the line and press. In the same way you can do a bracelet and a ring. For this you need to weave the chain of a smaller size.